The Single Kangaroo Adjustable Workstation unit sits on your existing desk and is designed to hold your keyboard and mouse on the 28" x 24" ergonomic work surface and hold either your LCD monitor or your laptop on the adjustable monitor shelf. This ergonomic workstation offers a vertical adjustment range of 15" (via a gas nitrogen cylinder mechanism) for the work surface, and the monitor shelf is separately adjustable an additional 6.5" to accommodate the ergonomic needs of most users. The maximum recommended monitor size is 21" wide and the maximum weight of the monitor is 15 pounds. 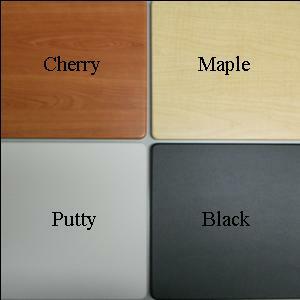 The laminate work surface is 28" wide by 24" deep and the base of the unit measures 17" wide by 16" deep and is composed of a solid steel plate which ensures stability. The monitor or laptop shelf is 13.5" wide by 9.5" deep. 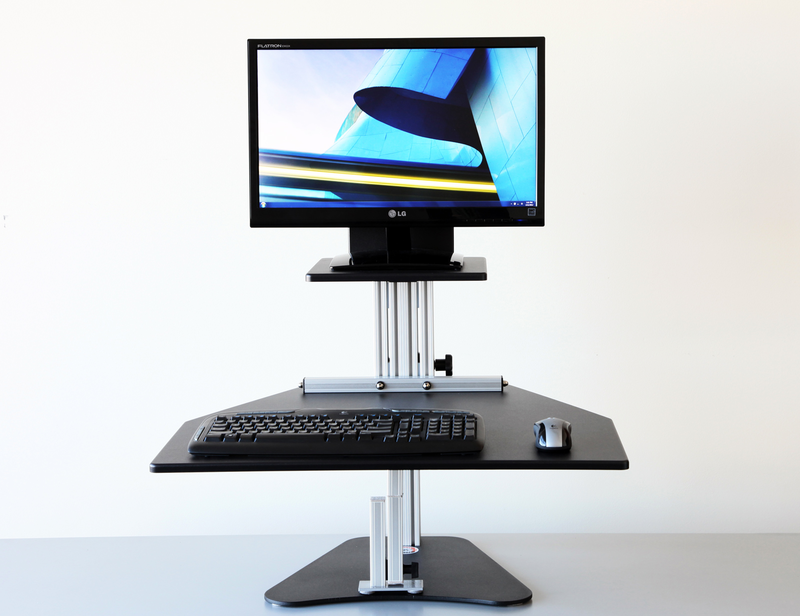 An adjustable stabilizing leg is included which provides a solid work surface when the unit is in the standing position.